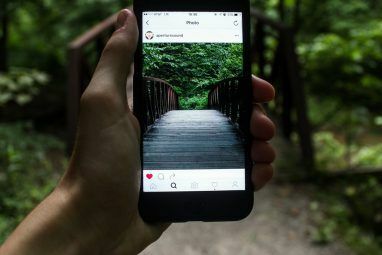 You probably know how to use Instagram like a pro 10 Cool Tricks to Help You Use Instagram Like a Pro 10 Cool Tricks to Help You Use Instagram Like a Pro We're always covering the best awesome Instagram tricks and ideas. But I'm offering you ten tips and tricks I found that will specifically help turn you into a professional on the social network. Read More . You can delete photos if you want, change the caption, or download it. But downloading someone else’s photo isn’t an option. There is no handy “Download this image” button. Earlier, there were services that downloaded any photo you Liked on Instagram. But recently, the updated terms and conditions scuttled this plan too. I scoured the web to find a way to quickly and easily download any image I like on Instagram. I tried several apps and services, including IFTTT, Microsoft Flow, Digi.me, EasyDownloader, and more. In the end, here’s the only method to automatically download Liked photos on Instagram. An Instagram account where you have Liked at least one photo. A Dropbox account or any other popular cloud account 10 Ways to Use Your Cloud Storage That You May Not Have Thought Of 10 Ways to Use Your Cloud Storage That You May Not Have Thought Of When we talk about cloud storage, it usually revolves around backup and collaboration. So, let’s try to find some more interesting ways to fill up all the space they give us for free. Read More like Google Drive. For the sake of this example, we will use Dropbox. All three services can be used for free. Dropbox and Zapier have limitations on their free accounts, but you can opt to pay if you need more than what they offer. For those who don’t know, Zapier is an automation service for web apps Create Awesome Life Automations with Multi-Step Zaps Create Awesome Life Automations with Multi-Step Zaps Zapier, the single largest competitor to IFTTT, announced that it now offers users the ability to create multiple action automations called multi-step zaps. Read More . It’s a lot like IFTTT or Microsoft Flow, connecting two or more services. Each such connection is called a “zap”. At the time of writing, IFTTT and Microsoft Flow don’t automatically save Liked Instagram photos to Dropbox. I spoke with Zapier’s team, who assured me that they have been in touch with Instagram, and their system will continue to work. Open your favorite web browser and sign in to Zapier, Instagram, and Dropbox. It helps save back-and-forth steps later. Go to this Zap — Add new posts you like on Instagram to Dropbox — then click the Make Zap button. You’re now in the first part, “Trigger”. From the apps list, choose Instagram. In Select Instagram Trigger, choose “New Liked Media”, which will trigger every time you like a photo or video on Instagram. Zapier will ask to connect to your Instagram service or choose an Instagram account if you’re already connected. Do it and click “Save and Continue”. Remember I asked you to make sure you have liked something in Instagram already? Now is when it’s useful. Test the Instagram trigger before you finish by clicking “Fetch & Continue”. If it’s successful, you’re ready to create an Action. Now you will be prompted to create an Action for your Trigger. The Action is going to be saving the Liked photo to your Dropbox. So in “Actions”, select Dropbox from the apps list. Then, in Select Dropbox Action, choose “Upload File”. Zapier will ask to connect to your Dropbox service or choose a Dropbox account if you’re already connected. Do it and click “Save and Continue”. Set Up Dropbox Upload File is an important step. Here, you will decide where to save the file in Dropbox, and what to name it. Once you’re done, it’s time to Test the Zap again, to make sure everything is working fine. Zapier will run it once and tell you whether it was a success. To double-check, go to your Dropbox, and see if it saved the image in the InstagramSaves folder. If everything is good, give your Zap a name and turn it on. You’re good to go! Once this is all set up, every photo you Like on Instagram will be automatically saved to Dropbox. You don’t need to do anything at all! It’s the easiest and most convenient way to download photos shared by others. However, Zapier does have its limits. First, and importantly, this method does not work with videos. 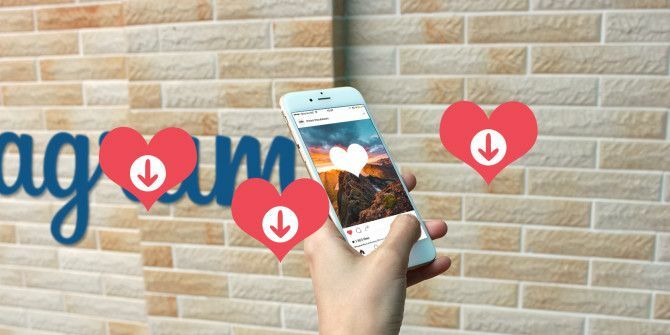 Unfortunately, neither do many of the other ways to download Instagram videos 7 Ways to Download Videos From Instagram 7 Ways to Download Videos From Instagram There are multiple ways of downloading videos from Instagram, and in this article we detail some of the best Instagram video downloaders. Read More . Zapier will grab a screenshot from the video and save it as an image file, but it won’t save the full video itself. So for now, you’re limited to photos only. Also, Zapier’s free account lets you run one Zap for up to 100 Tasks in a month. So you get this one Zap to download 100 Liked photos in a month. For most people, 100 Likes is going to be enough. But in case you want more, you can get the Basic plan for $20 per month, to increase the number to 3,000 Likes a month. Videos can’t be automatically downloaded. Also, this Zapier trick will work for anything you Like from now on. It doesn’t grab photos you have liked in the past. If that’s what you want, you need some different apps. For desktops, a good solution is Digi.me, available for Windows, Mac, Android, and iOS. It’s completely free too, and works with non-Instagram apps as well. The first run takes a long, long time to start, so be patient. But once it’s done, it’s easy to save Instagram Likes. For smartphones, Android users should check out Instasave for Instagram, by Golden Horizon Studio. Log in and go to My Likes to see your history. Tap the Download button (three downwards arrows) choose which of the Liked photos and videos you want to save to your Android device. Yes, it works with videos. Once you’ve saved, you can transfer them to cloud storage. Or move them to the unlimited Google Photos app Get Free Unlimited Photo Storage & More with Google Photos Get Free Unlimited Photo Storage & More with Google Photos If you aren't using these hidden Google Photos features, you're really missing out. (Hint: There's free and unlimited photo storage!) Read More . It’s all up to you. I didn’t find any app on iOS that did this smoothly, after trying out multiple “Instasave”, “Instagrab” and other such apps. For a single image, if you spot an image that you want to save, forget about getting these apps. Just copy the URL of the Instagram image and head to Dinsta.me. Paste it and you can download the image in seconds. 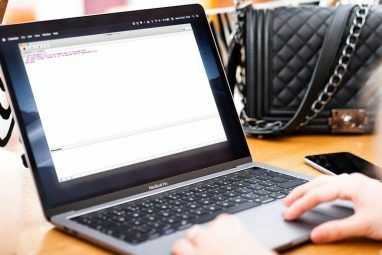 It should actually be part of our wonderful and useful no-signup tools 15 Excellent No-Sign Up Websites for Everyday Use 15 Excellent No-Sign Up Websites for Everyday Use Do you like websites which have no sign-ups, no registerations, and no downloads? Then, you will like these hassle free web apps and sites which make daily productivity a lot easier. Read More . Do You Want More Control Over Instagram? Right now, it seems like Instagram is dictating how its users should use the app, instead of listening to what the users want. There is no official Instagram desktop app to upload photos or browse them. You can’t download images from others. You have little control over downloading all your images itself. Do you want more control over how you use Instagram? Are you happy with the service as it is? Tell us your thoughts in the comments below. And if you know a better app or method to download photos automatically, share that too! Explore more about: Computer Automation, Dropbox, Instagram, Zapier. "Due to undocumented changes affecting all developers using Instagram's service, you will no longer be able to see the Instagram posts you liked in your digi.me. Our development teams are working to mitigate the impact of this change. 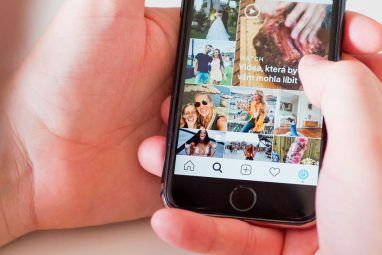 We are also reaching out to Instagram to get clarity on their strategy for giving back their users' data, and how we can help them achieve this." This is only for NEW liked media. What if I want to download all the pics that I have already liked? It only uploads *.txt files instead of pics. How to fix that?? I had the same problem and solved it by using a predefined Zap called "Add new posts you like on Instagram to Dropbox" . If you wish to create it manually, try choosing "Images Standard Resolution URL" in the "File" window.